TrendHimUK: Leather Is A New Trend To Watch Out For! When somebody mentions about leather trousers I always remember "Friends" episode with Ross' epic leather trousers fail, and somehow they come back! 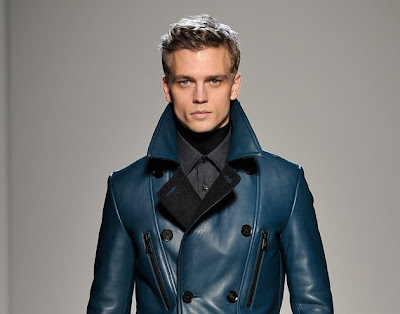 Leather is a big trend to watch out for. I have always been a big fan of the leather gloves, bracelets and jackets but I have never felt warm about leather trousers for men. 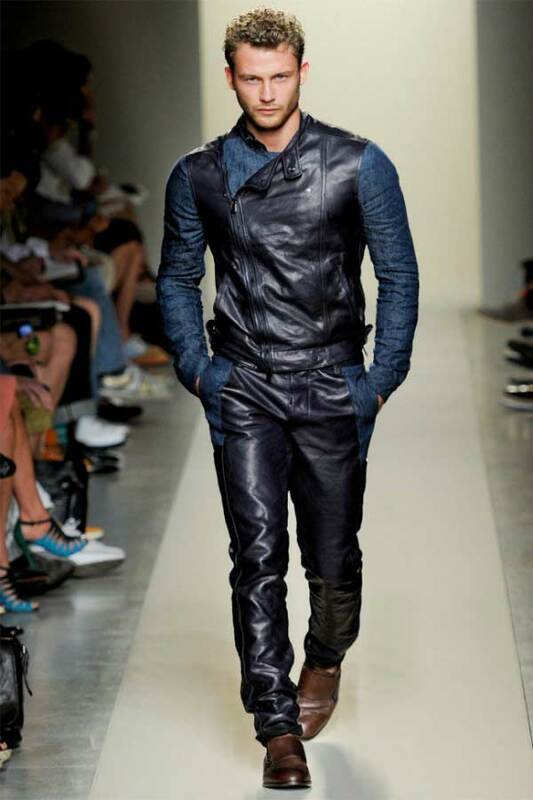 I think men should wear leather only as jackets & accessories; not as trousers. But trend is a trend. My opinion vs designer’s opinion… Ralph Lauren, Dsquared2 and Calvin Klein were huge advocates of this trend including the trousers and UI have to admit that they look good on stage. I have blogged about Belstaff’s new campaign as “Moto-Inspired” like a month ago which includes many great leather biker jackets. But now it’s a street style no matter if you are a biker or not. It doesn’t have to black anymore. 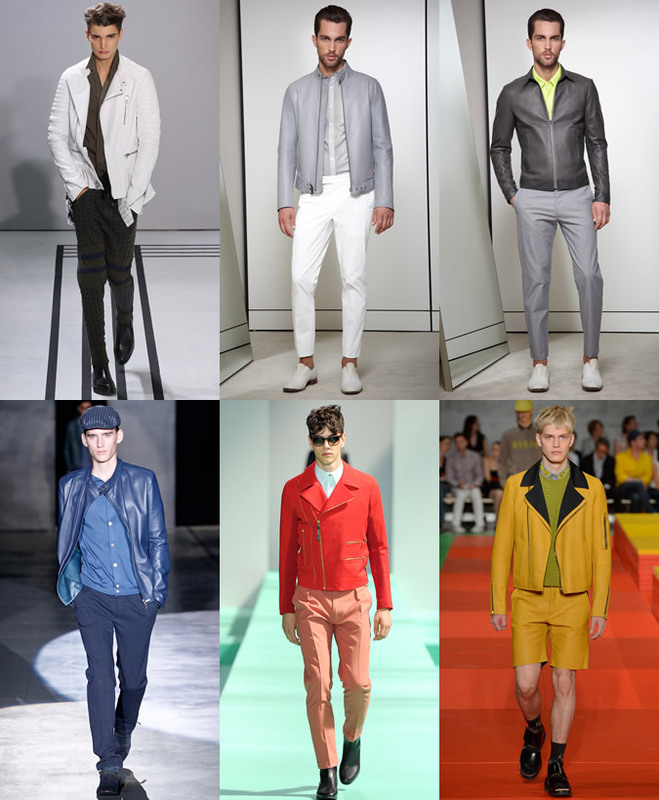 An easy way to make an appearance among all the trendhunters is to utilise colours. I just wonder if any of you considers to try this new trend… I think you should!